Now, I’m not suggesting that anyone without an infant should go out and buy Dr. Jill M. Lekovic’s Diaper-Free Before 3: The Healthier Way to Toilet Train and Help Your Child Out of Diapers Sooner. That would be weird. But if you just have a fondness for cultural history, I recommend you stand around in the Barnes & Noble aisle (“Hey, ladies!”) and read Chapter 2, in which Dr. Lekovic traces the provenance of the contemporary American potty training regime. It’s a remarkable walk through the history of our relationship with our babies’ waste. Why, indeed? Maybe it’s to propitiate the ghosts! Ghosts in parent’s nurseries — for example, parents’ bad memories of their own toilet training — are likely to make them anxious about their child’s training. Many of the parents in my study were ready to admit that the fear of reproducing their own traumatic experience prevented them from introducing each step to the child without anxiety. I wish that all parents like this could recognize and accept their need for help to sort through their own past experiences. While our culture is busy redefining psychological states in physical terms (via James ), toilet training retains all the mystification and obscurantism of popular psychoanalysis, circa 1962. I find Dr. Lekovic’s thesis pretty convincing, and wish I’d read her book a decade ago. Whether or not it will work under our, er, strenuous laboratory conditions remains to be seen. But efficacy aside, its ideological appeal is enough to get me to suspend my critical faculties. You mean I can observe some pre-modern folk wisdom, my kids will be out of diapers sooner, and I can stick it to the Boomers and the Freudian poseurs? Where do I sign? You mean I can observe some pre-modern folk wisdom, my kids will be out of diapers sooner, and I can stick it to the Boomers and the Freudian poseurs? Hmm. No. I think this falls into the equally annoying ‘Ancient wise-men already knew what modern scientists are only now discovering!’ narrative. Ask any parent why their kid is still wearing a diaper at 4 and exactly 0 out of (whatever number you ask) will say that it’s because of anything the American Academy of Pediatrics wrote. It’s because potty training is hard, fraught with error, and occasionally traumatic. It’s easier when the child is older and more rational. So people and children procrastinate until they’re old enough that wearing a diaper on an overnight playdate is embarassing. I’ll go with “hard” (if hard is understood to mean “doesn’t happen instantaneously”) and “fraught with error”, but traumatic? Traumatic?!? Then again, my book “Rearing Children Takes a Lot of Time and There Are No Easy Answers” has not exactly been a run-away best seller. Maybe I need to change my pitch. Sidereal, you might be surprised to find that although parents did not necessarily know anything about the American Academy of Pediatrics, a lot of them really did read that kind of stuff back in the 60s and 70s and they did use it as a basis for their child-raising practices. What TR said. And of course once a practice becomes common, it can impact parents’ expectations for themselves and their children in a host of ways. The influence of the famed “Dr. Brazelton” – whom, by the way, old ladies at church and on airplanes repeatedly instruct you to read – is everywhere, man. Commit yourself to asking the question “Do you need to go to the toilet” 750 times a day and knowing the exact location of every restroom in your town and everything will be fine. Tony, a child leaving poop on the carpet of your dentist because he or she really had to go but was too stressed at the idea of using a public restroom to say anything is a traumatic event. Not as traumatic as, say, the London Blitz, but it exists somewhere on the spectrum of trauma. TR/John, obviously peer groups differ and there are no doubt parents who still read ‘a few articles in the postwar era’, but surely you recognize the number must be tiny. So the question is how those articles’ influence would still manifest. My argument is that they don’t. Parents procrastinate because potty-training is hard and because the alternative (larger diapers) is available. The alternative is available because there is parent demand for it. Now it’s possible that that feedback loop was kicked off in the 60s because of AAP recommendations (parents read the recommendations, demanded larger diapers, industry supplied, etc), but these days it is entirely self-sustaining without the help of any recommendations, dystopian or otherwise. If there were a concerted campaign to encourage earlier potty-training, that would no doubt have an impact (possibly a large one, like the recent pro-breast-feeding movement). But this is one of the (nearly universal) cases, where societal behavior is just an aggregate of individual behavior, which is motivated by self-interest rather than the tyranny of dead psychoanalysts. The book makes a good case — maybe overstated — that your self interest and that of your child are best served by teaching him to exercise autonomy earlier, rather than later. The late toddler years are, according to Lekovic, the worst possible time to introduce toilet training precisely because it’s demanding, emotionally taxing, and, yes, occasionally traumatic in its way. It becomes a battle of wills rather than just another routine. So the question is how those articles’ influence would still manifest. 1. Loads of people in ’60s read Brazelton and take it as Gospel. 2. So loads of people start leaving their kids in diapers for a long time. 3. Other people follow their lead, and the cultural expectations surrounding toilet training begin to change. 4. Those expectations remain changed even after Brazelton is dead and his articles are long-forgotten. That’s just how social trends happen (and dead psychoanalysts exercise their tyranny), isn’t it? I have several very close friends who have potty trained at around age 2 (or younger), with no trauma involved. I can also tell that our 27 month old is almost ready, but I’m going to hold off until after a couple of big changes (new baby, move across country) occur. I also know people who never use diapers and use elimination communication from birth, leading to a fully potty trained child by 18 months or sooner. But I cannot possibly imagine keeping a child in diapers until age 4. To me, that is incredibly de-humanizing – I mean really, sitting in your own excrement? I also think it’s really funny that our culture wants newborns to sleep on their own but keeps children in diapers until such a late age. I think there’s an important distinction between trends that are maintained through the constant pressure of ‘experts’ and those that are self-sustaining. Self-sustaining trends were probably inevitable. Think of it as the behavioral version of an economic equilibrium. The particular trigger is sort of irrelevant. If it’s an equilibrium state, then it’s entirely likely that at some point it would be triggered, and then it would persist. Consider smoking. The equilibrium state of smoking is for people to do it. It’s addictive and it seems to bring a lot of pleasure to a lot of people. You can dig into the details of the history of smoking to see what triggered particular phases, but it’s sort of irrelevant. It could have happened another way in an alternate universe, but it was probably going to happen. And to counteract it, we have a persistent, ongoing force of legal and economic controls and social stigma. But you’re probably never going to have a stable nonsmoking equilibrium, because it’s not self sustaining. I think you’re never going to have a stable early potty training equilibrium because people want to delay potty training and the technology will always be available to facilitate it. Or take dietary fiber. There is no equilibrium in eating fiber as an additive. People eat it because they’re constantly being told it’s important (based, by the way, on some extremely questionable dietary research. Now that’s a conspiracy theory worth exploring. I recommend Taubes’ Good Calories, Bad Calories for an overview). If people stopped being told to eat fiber, dietary fiber would go away very quickly. Now that’s a conspiracy theory worth exploring. I recommend Taubes’ Good Calories, Bad Calories for an overview). Pollan’s In Defense of Food talks a lot about that book, though his focus is more on the lipid hypothesis and the push for low-fat diets. It’s great stuff. P.S. We just experimented with letting our two-year-old run around pantsless for ten minutes, and he shat on the floor. I am, however, going out to buy him some underpants, just as an eff-you to Brazelton. An obsession with toilet training goes back at least to somebody much older and much more famous than Brazleton: Sigmund Freud. Medical and educational culture in the first third of the 20th Century was dominated by Germans, who are notoriously neurotic about excretion, among much else. Similarly, Germans got obsessed with getting rid of left-handedness through proper training, a mania that spread to America. Thus, Ronald Reagan, a natural lefthander, was raised as a righthander. Eventually, Americans got tired of it, perhaps due to anti-German feelings in WWI or the rise of lefthanded baseball stars like Babe Ruth. So, most of our recent Presidents were raised as lefthanders. 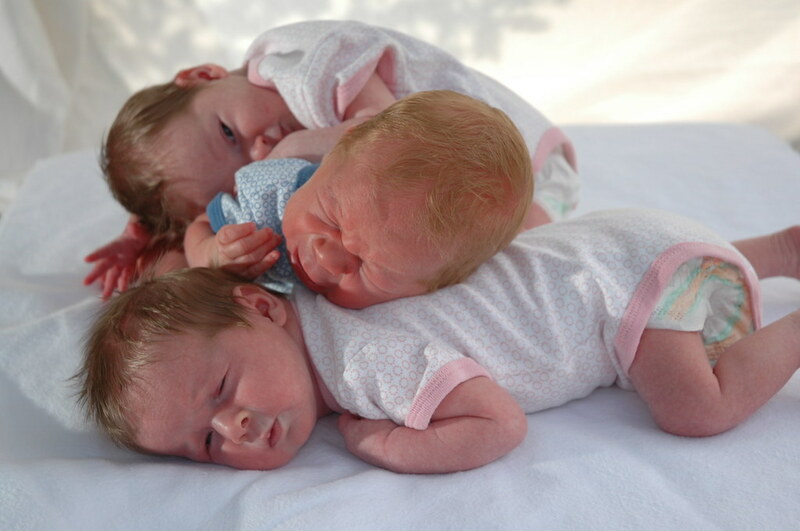 Matt: While I hesitate to give advice to someone who has 4X more kids than I do, have you considered cloth diapering? I’ve never understood the whole “psychic trauma” thing some folks seem to associate with potty training. It’s just one of those things we all learn to do (with a few messy interludes). I have half-a-shelf of parenting books (Bazelton is there – recommended, as John says) that never got read past page 15 or so, as I quickly realized that most of it was just crap or common sense – and I didn’t need to read for common sense. Bryan, people (rightly) think that their children’s behavior is a reflection on them, and potty training dredges up all sorts of anxieties about hygiene, sexuality, physical and cognitive development and what that portends for the future of one’s children. A child shitting on the dentist’s reception-room floor certain has the potential to be a traumatic experience, for the parent(s) at least, and perhaps for the child. Just yesterday we were in Prospect Park and I was beaming as I watched my steely-eyed three year old riding a galloping carousel horse all by herself, while older children were riding static horses with their mothers hovering over them, half cradling their charges as the merry go round went round and round. Obviously these women were well on their way to producing timorous, clingy children, incapable of meeting the world with their chin’s up and shoulders squared. The second time around my daughter opted for a static mount. On this go ‘round her eyes were brighter, and was much more smiling.